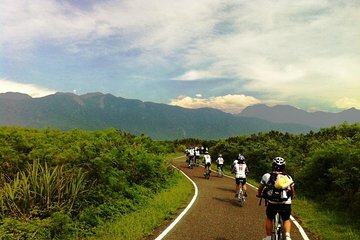 Enjoy an adventurous 5-day biking tour of Taiwan that follows the eastern coastline from Taitung to Hualien. Ride approximately 30 miles per day with expert local guides who show you the sights. Enjoy a Taipei city tour on the first day to see Long Shan Temple, Bopiliao Historic District, Dadaocheng Wharf and Taipei 101. Then learn about local ethnic groups as you pedal through Taitung County, enjoy the beauty of Hualien County, and return by train from Hualien City, celebrating with dinner, hot springs and a foot massage.